Home » SEO blog » SEO Basics » What is a content delivery network (CDN)? SEO basics: What is a content delivery network (CDN)? A content delivery network (CDN) is a network of servers in different geographic locations working together to get content to load faster by serving it from a location near the visitor. Here, I’ll explain what this all means and what a CDN can do for you and your SEO. Picture this: you’ve hosted your site on a server in San Francisco, California. I hear you asking: “But I have a web host, why would I need a CDN?” Well, whenever you load your site from your house near Oakland, it loads lightning fast. You’re physically close by, right? But do you think someone from Mumbai, India would have the same experience if he or she were to visit your site? Probably not. Why is that? Among other things, latency. The longer the distance between a server and client — a.k.a. your browser —, the longer the latency will be. Latency is the time needed for the server to respond to a request. In suboptimal conditions that latency will keep getting worse. You can use a content delivery network — or CDN — to move your site closer to your visitor, so to say. The result? Less latency and a fast loading site. But a CDN can do a lot more, and we’ll get to that in a minute. For most people, the speed bump a CDN can deliver will be their main focus point. We’ve talked about that first reason already. Everyone wants a fast site and site owners do everything in their power to make their sites as fast as possible. A fast site offers a great experience for everyone. Plus, Google loves fast sites! The other reasons might be less obvious. A CDN helps you to get your bandwidth costs down because it serves up static content to users for their servers, not yours. This can have a drastic impact on your costs for web hosting. Often, traffic comes in waves and if the traffic exceeds the limits set by your hosting plan, you have to pay — big time. Of course, you have to pay for a solid CDN so you won’t keep a lot of extra cash in hand, but it does give you a firmer grip on what you’re spending. Adding a CDN in front of your site is a great way to improve security. The CDN provider has all kinds of tools that help with that. It can serve as a kind of firewall to protect your site from going down during a so-called Distributed Denial of Service attack (DDoS), for instance. It helps you guard against the most common threats out there. There are even specific settings to keep hackers out of your WordPress sites. By hosting part of your website’s content, a CDN can help you enhance uptime and availability of your site. Also, many CDN providers also use tactics to make sure that your site doesn’t go down, whatever happens. Load balancing, for instance, can help your site stay online whenever you have a sudden, massive spike in your traffic. Does using a CDN have any implications for SEO? Your SEO won’t suffer if you activate a CDN. It might even help your rankings a bit because your site speed might get a big boost. In addition, by installing a CDN you can also use state-of-the-art technology like forcing a secure HTTPS connection and using the new HTTP/2 protocol to improve your site speed and uptime. In general, users should be happier if your site is excellent, snappy and secure. You should, however, take care that you implement it correctly. Most providers have specific instructions to set up a CDN without hurting SEO. There are numerous CDN providers out there. You should try and find one that offers the best mix of performance, features and price for your specific situation. We use Cloudflare at Yoast, but you could also consider some of the other well-known CDN providers like, for instance, Sucuri, MaxCDN, Microsoft Azure or Amazon CloudFront. Most CDN providers have easy-to-follow setup instructions for WordPress sites, so you should be up and running in a couple of minutes. Some even offer WordPress plugins to improve the process even more. After setting up the account, you can get to work to improve the speed and security of your WordPress site. A CDN is a great tool to improve the loading speed of your site. Not only that, but it also adds a layer of security to your site and improves uptime and reliability. If you are not using a CDN yet, you might be missing out. Pretty much every site can benefit from a CDN, so please investigate if it might help yours. 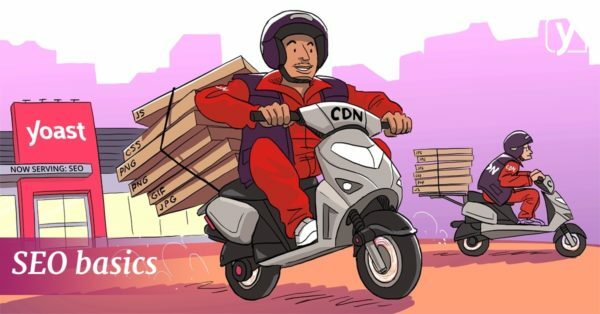 22 Responses to What is a content delivery network (CDN)? Hi, thanks for your useful sharing. I am thinking to upgrade to vps hosting. Do I still need a CDN with vps? Great Info! CDN does speed up a site! In many cases when i’ve used a CDN (Cloudflare) I got a big spike in requests & load time on my Webmaster tools. I’m using it now tho, just not sure how to setup all the technical part properly. Is there a company or someone who can set it up properly for us non-technicals? Thanks for another great post BTW! Great article on the CDN, thank you very much. I’ve personally found a CDN terrific… when added correctly. But even with the ‘easy step by step instructions’ it can be quite confusing. You do need a little technical know-how (or some help). Hi Rudy. Yes, CDNs are great and yes, they take a bit of work to set up right. There is a lot of information available and most providers have great support staff that can help you. Is there any chance adding an extra plugin to WordPress would negate the affects of the CDN speeding things up? You don’t have to install a plugin, it just makes the process easier. You can always do it by hand if you want to restrict the number of plugins on your site. Thank you for a clearer explanation of CDN but most of the times, CDN and SSL use to cause issues that you will need to disable one for the other to work, is there anything you have to say about this? I’ve had that experience too. But I later figured it had to do with my CF settings. I now do have a couple of SSL-enabled sites still loading via cloudflare. Make sure your SSL is active for all your domains i.e. wildcard SSL if you are using a different domain to serve your assets and make sure they’re all enabled in the CF DNS setting. Not everything CNAME and A NAME on your domain needs to be on CF. Disable the irrelevant ones. Under SSL setting, make sure you use Full, not Flexible. Set Always Use HTTPS to On. Disable HSTS. Set Automatic HTTPS Rewrites to On. When you’re done, purge your cache and test. Thanks for the clear explanation, Philips! Great read Edwin, thank you! Qucik question if I may? Thanks for the informative post..
May i ask if there’s Clouflare wordpress plugin or does one have to connect using DNS nameservers? Even if you install the plugin, you cannot use it without a Cloudflare account. So create an account first at cloudflare.com. What the plugin does is simply provide you and interface to manage basic cloudflare settings in your WP Admin without having to log in to your cloudflare account settings page. For e.g. in the plugin, you can temporarily or permanently disable CF, flush the cache etc. Hi! You can do both. For WordPress users, the quickest to get going is probably by using their plugin. Thanks Edwin. When should CDN be used, and when should not? I want to use but my friends say that should only be used when accessing sources from overseas (my website is the main source of access in my country – Vietnam). I heard that using CDN will slow down the download speed. Is it right? Hi Standa. Almost every site can benefit from a CDN even if you’re focusing on one country only. The speed boost can be huge, not to mention all the security features you’re getting. 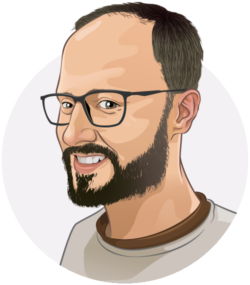 Just out of curiosity here: you mentioned that “you can do a lot of complicated stuff with a CDN” besides dealing with latency – what do you have in mind? I think the best way is to find out is to create a CF account (even if you don’t plan to use it yet), then look through the settings. You’ll be surprised.